Craft Breweries to be Affected by New FDA Menu Labeling Requirements - Ward and Smith, P.A. In late 2016, craft brewers may find themselves shouldering the burden of providing additional nutrition information beyond current container labeling requirements. On December 1, 2016, the Federal Food and Drug Administration ("FDA") will require restaurants and other covered food establishments to make calorie and nutrition information for menu items, including beer, available to consumers. In 2010, the Affordable Care Act modified portions of the Food, Drug and Cosmetic Act to address the national obesity epidemic by helping consumers make more informed and healthful dietary choices through improved access to nutrition information. The FDA developed and published its final rule on December 1, 2014, to be effective one year later. In July 2015, the compliance deadline was extended to December 1, 2016, and in September, the FDA issued a draft Guidance document ("Guidance") to assist restaurants and other retail food establishments in implementing the menu labeling provisions. In general, the menu labeling requirements force establishments that sell food prepared for dining in or take-out to provide caloric and nutrient content information for items that regularly appear on the menu. Establishments with 20 or more locations doing business under the same or similar name and offering for sale substantially the same menu items will be required to publish the nutrition information. According to the Guidance, this will include chain restaurants, grocery stores, take-out/delivery locales, and convenience stores. Although the menu labeling requirements are intended to cover primarily food items, the Guidance did not exclude alcoholic beverages from coverage. This means that the nutrition content of beer served as a standard menu item (i.e., routinely included on menu/menu board or routinely offered for self-service) by covered retail food establishments - whether in draught, bottle, or can - must be published and available to the customer. Seasonal or specialty brews may fall outside of the nutrient disclosure requirements if offered for less than 60 days per calendar year or less than 90 consecutive days to test for consumer acceptance. Currently, it appears the December, 1, 2016 requirement will have no effect on the labeling of beer containers currently regulated by the Tobacco Tax and Trade Bureau. Nutrition information that must be provided on an establishment's menu will include the number of calories in a serving; a specific statement regarding the significance of that caloric information in relation to the FDA's 2,000 calories per day general nutrition advice; and, a statement that additional nutrition information is available upon the consumer's request. To comply with the rules, the establishment must have on hand the following nutrient measurements (by grams ("g") or milligrams ("mg") as indicated) for standard menu items to satisfy a consumer's request: total calories, calories from fat, total fat (g), saturated fat (g), trans fat (g), cholesterol (mg), sodium (mg), total carbohydrate (g), dietary fiber (g), sugars (g), and protein (g). Covered establishments will have the flexibility to choose the basis upon which they rely for nutrient content disclosures, such as nutrient databases, cookbooks, recipes, laboratory analyses, or other reasonable means, so long as the information is accurate and consistent. One of the pitfalls for establishments that serve craft brews on their menus will be that nutrient information available in databases may not be accurate enough for the craft product. For example, the USDA Nutrient Database lists 10 alcoholic beer entries, including regular, light, malt, and low-carb varieties. The approximate nutrient listing for regular alcoholic beer is noted to include ales, lagers, porters, premium beers, and stouts. These approximate listings may or may not fully or accurately represent craft breweries' unique products. If it is not reasonable to conclude that the specific type of beer matches the description of the type of beverage used to determine caloric and nutrient information in the database, other reasonable bases must be used to accurately calculate content. Ultimately, it is up to the covered establishment to determine the basis it will use for nutrient values and that the basis is valid, complete, and accurate for the menu item. Although most craft breweries will not be required to comply directly with the menu labeling requirements (unless they are part of a brewpub chain of 20 or more locales), there is the potential for impact on those craft breweries that supply their beer to covered establishments such as chain restaurants and grocery stores that sell prepared foods (e.g. Whole Foods, Earthfare). If craft beer is on a menu or menu board, nutrition information must be made available to the consumer. The covered establishment may require the brewer to provide the nutrient information as a condition for the establishment's continued wholesale purchase and retail sale of the product, including the burden of laboratory analysis and disclosure of the necessary corroborating information. Small breweries may be disproportionately affected if they do not already have this information on hand or do not have the financial wherewithal to run the analysis. 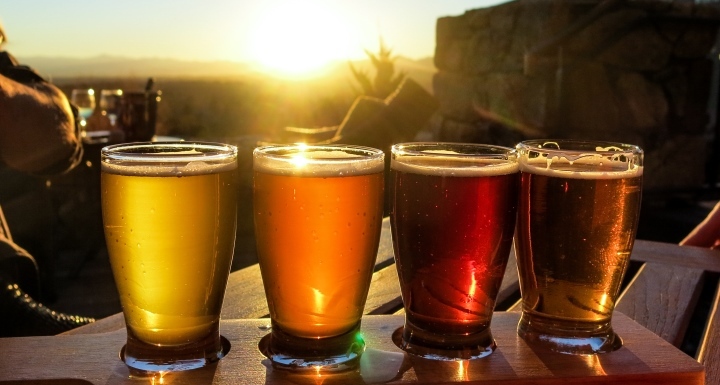 Breweries need to be ready, willing, and able to provide nutrient values in order to do business with chain restaurants and other stores offering prepared foods that post beer products on their menus. Menu redesign to accommodate the new FDA requirements likely has begun and can take some time. Craft breweries are well advised to identify which of their purveyors are covered establishments and consider how they will provide the nutrition information. Those that are ready when asked will have an advantage in keeping optimal product and placement. © 2019 Ward and Smith, P.A. For further information regarding the issues described above, please contact Derek J. Allen or Amy P. Wang.